Tanac has been known as the originator of the winding machine industry since the company developed and sold its first winding machine. 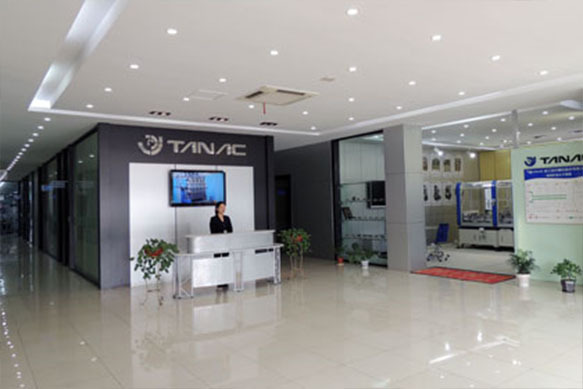 Through decades of continuous accumulation and innovation, Tanac has expanded its business area gradually covering related industries of consumer electronics, automobile and household appliances etc., making it a well-deserved leaders of customized solutions. Based on accumulated technical experience over the years, all the processes are carried out at the factory in China covering design, processing, assembling, installing and debugging, in order to ensure that we can provide customers with products of highest quality and lowest prices. And we also implement ISO9001 quality management to guarantee the high-quality control of every process of our work. The perfect and powerful after-sales service is the guarantee of the brand value of Tanac Precision Machine. Tanac Precision Machine after-sales service department has a strong support team composed of well-trained and experienced senior engineers. 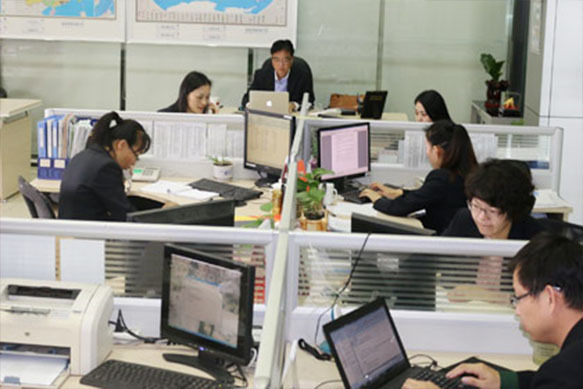 Every employee devotes himself into providing high-quality and efficient service with attentiveness and enthusiasm for the customers, escorting the customer's production. 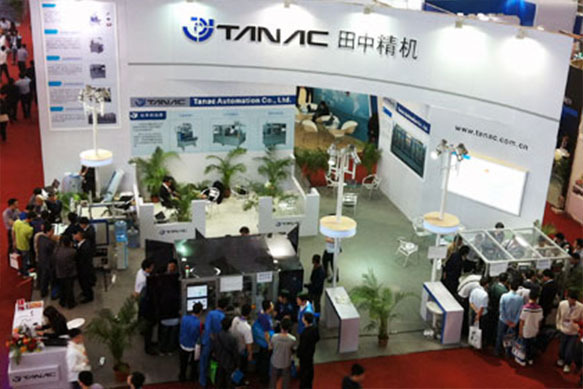 Tanac Precision Machine long-term commitment to the research and development, design and production of the high-end automation equipment Based on TANAC long-term cultivation technology products are carefully designed to accommodate Chinese industrial base. While maintaining high quality, low price become another important competitive factor in Chinese market. Tanac Precision Machine always pays attention to provide high-quality products with competitive prices and will make our unremitting efforts to pursue our goal. The perfect and powerful after-sales service is the guarantee of the brand value of Tanac Precision Machine. Tanac Precision Machine after-sales service department has a strong support team composed of well-trained and experienced senior engineers. After years of unremitting efforts and the core technology accumulation, TANAC brand products have obtained high praise by customers all over the world, which firmly consolidated its position of the world brand. MX / CX series is the standard winding machine of Tanac with high efficiency and precision. This series includes four models and the numbers of the spindles are from 4 to 16. The total pitch of these spindles is 180/360/560/880mm. A large variety of accessories are available. The rigidity of MX series is better and the moving scope of XYZ axis is larger than the previous one. This series can complete more complicated wound coils with high-speed and high precision, what's more lifetime is prolonged. The simple design improves the reliability and operability, making the maintenance easier. 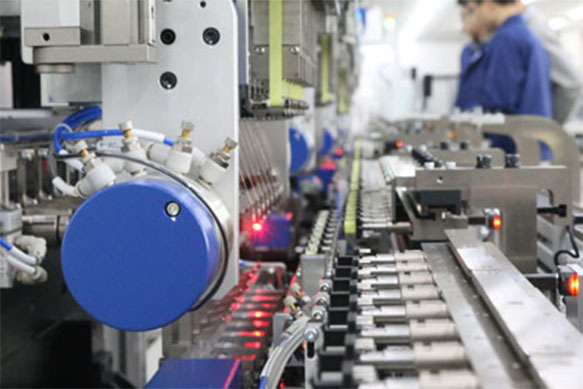 TANAC original controller connected to the Windows standard interface can handle different requirements of winding process. Single spindle flyer-type winding head. AC servo motor for Flyer, Core index, traverse & jig. All key parts imported from Japan. Servo controlled Former (finger) movement on Jigs for precise & controlled opening of fingers for every layer of winding resulting in precise & accurate winding. Automatic tap puller with wire clamp and cutter for automatic tap pulling and end termination. Electronic / servo wire tension programmable for different stages of winding. Balanced Design provides Compact Structure, High rigidity, High Precision, High Speed & High Intensity. High performance G2 controller with multi-program memory and PC Interface. Windows based GUI; (programming thru External PC), different Security IDs for programming & operating modes. Tanac’s original software, easy to use & easy to operate, provides simple programming steps for very intricate winding parameters. Complex windings. This Machine is air core (bobbinless) coil winding. At the centre of the machine there is large rotary table, on which there is a station every 90 degree with a set of fixture. The 1st Station is automatic winding, as the wire is thick, we use pneumatic scissor to cut the end leads. Width of the winding is changed by programming. In order to keep the winding with perfect layer, the winding width moves simultaneously with the traverse at the first layer. The 2nd station is coil bonding, Self bonding copper wire will be bonded by electrical heating (resistance method) & be pressed firmly in order not to loosen (unwind). The 3rd Station is unloading, the coils will be unloaded from the jigs & placed on conveyor Fan is provided for cooling off the coils. 4th Station is spare station. Simple design, easier to operate & easy maintenance. TANAC original controller can be connected to windows standard interface, which is extremely easier to operate. BX series is Air-cored winding machine of Tanac with high rigidity, precision and durability. The rigidity of BX series is better and the moving scope of XYZ axis is larger than the previous one. This series can complete more complicated wound coils with high-speed and high precision, what's more lifetime is prolonged. With the adoption of Tanac's original special software for winding machines, various kinds of winding with high difficulties can be realized. With Windows programming, the operation is extremely easy, even for people who have never used Tanac software before. Linear soldering machine that can finish pre-fluxing and tin submerging automatically can be combined into automatic production line. Simple in design, easier to operate, less failure, and easy maintenance. Also, it is featured with high rigidity, high precision, high speed, long service life. TANAC original controller can be connected to the Windows standard interface, which is extremely easy to operate. The machine consists of four parts. Bobbin feeder, Flux container, Static solder bath, Titanium solder bath. The standard process is bobbin feeding, fluxing soldering, ejecting. This machine is suitable for high-difficulty soldering. Because jigs are mounted on YZ axis and liquid level in solder bath can be controlled by program. Also, it can do terminal soldering obliquely with rotatable jigs(optional). There's one set of fixing jigs on each station. Several bobbins can be insert into the jigs according to the bobbin size, shortening the unit soldering time and improve efficiency. Rotary soldering machine is featured with a short cycle time and stable high-quality soldering. 4 models of rotary table with 4/6/8 stations are available and all can be used in conjunction with other optional device. Also, it can be combined into a production line. It has following standard units: fluxing feeding, small solder bath moves up and down to dip tin, and its liquid level determines the solder bath's, titanium solder bath. Due to the rotary table, all the stations can work simultaneously, greatly shorten the soldering time of per coil. Each station of rotary table has several fixed jigs, and the number is depended on the size of each coil as the solder bath size is fixed. Based on the requirements of products, the following units can be selected for assembly.